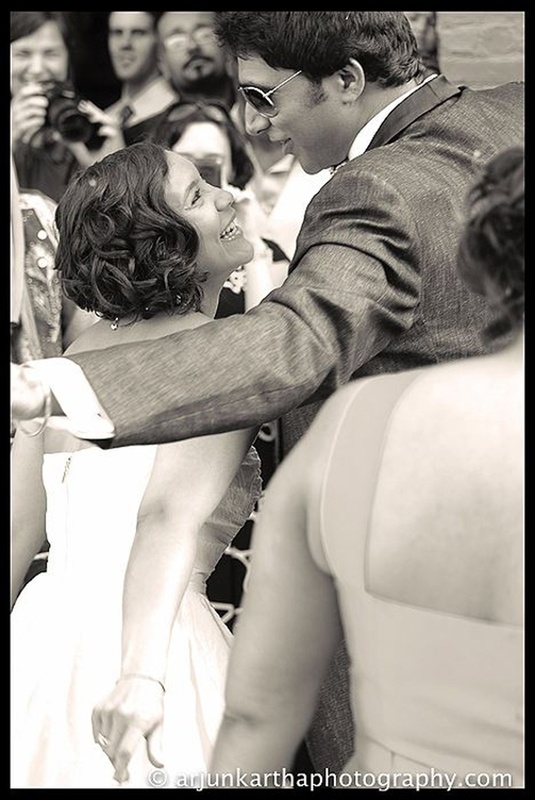 A bond for food that grew into love and then into marriage! 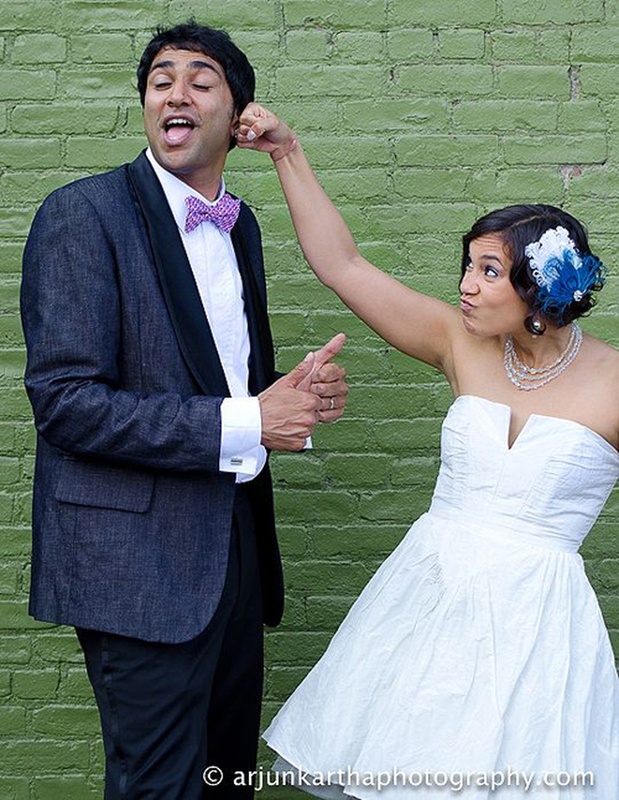 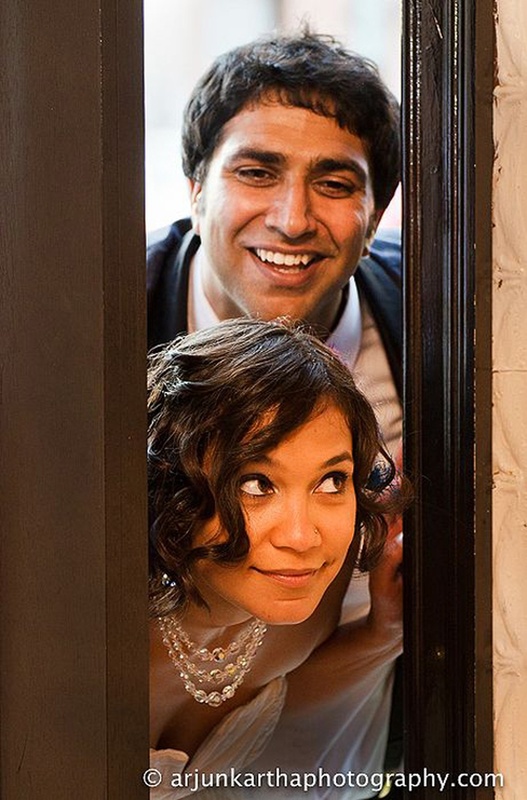 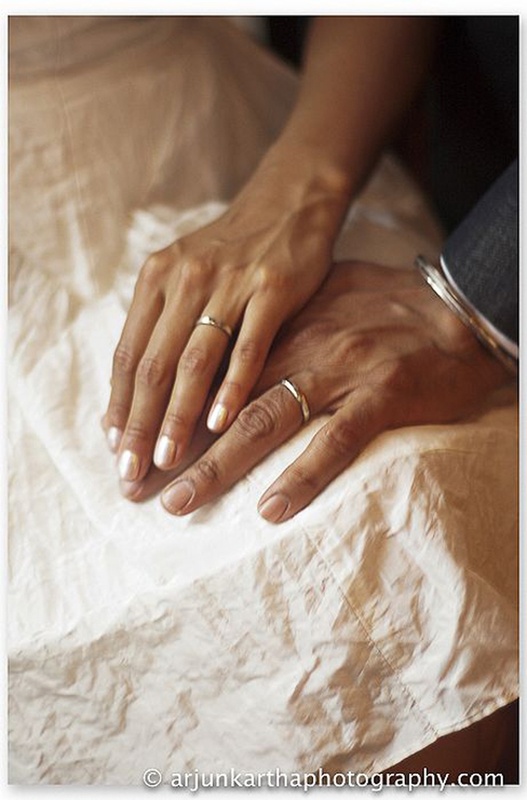 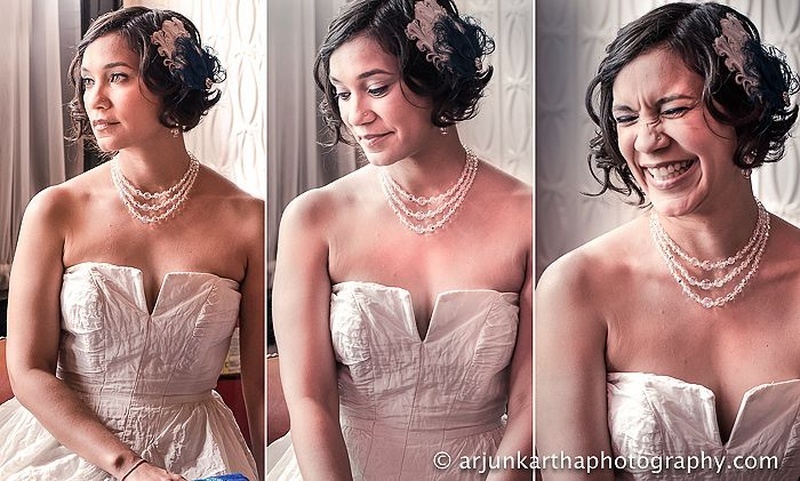 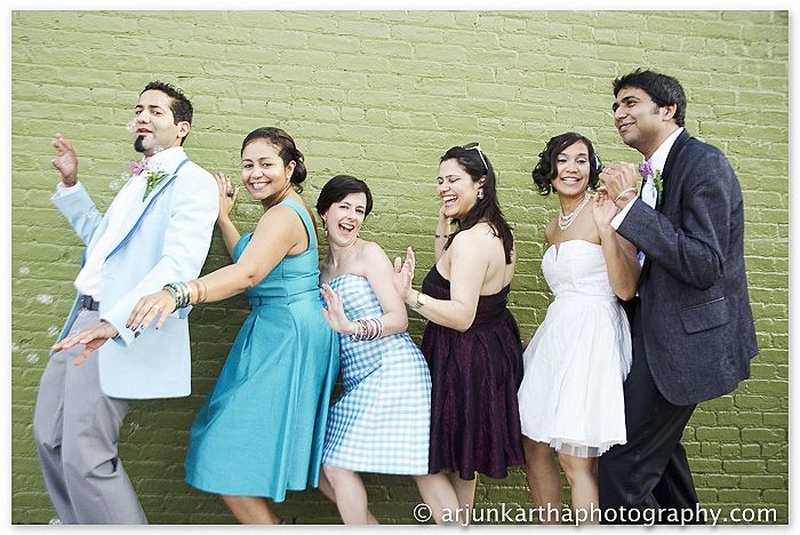 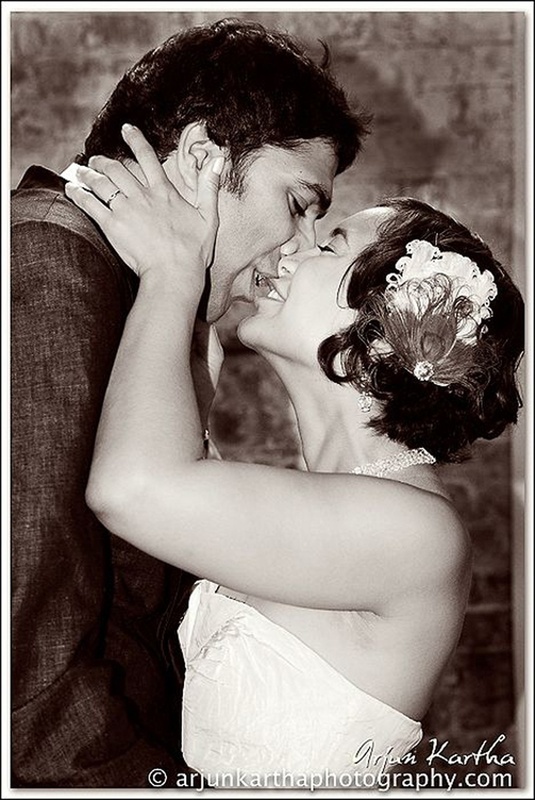 We adore off-beat, contemporary weddings like Adrienne and Vinay’s a little too much. 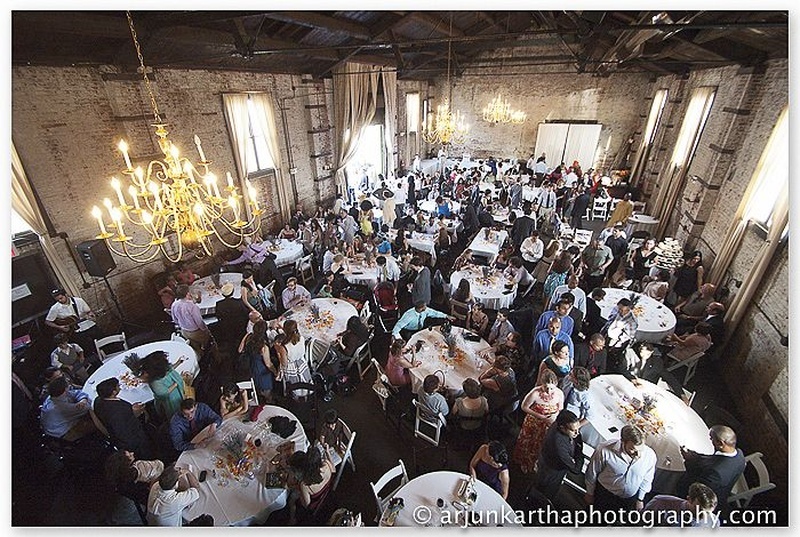 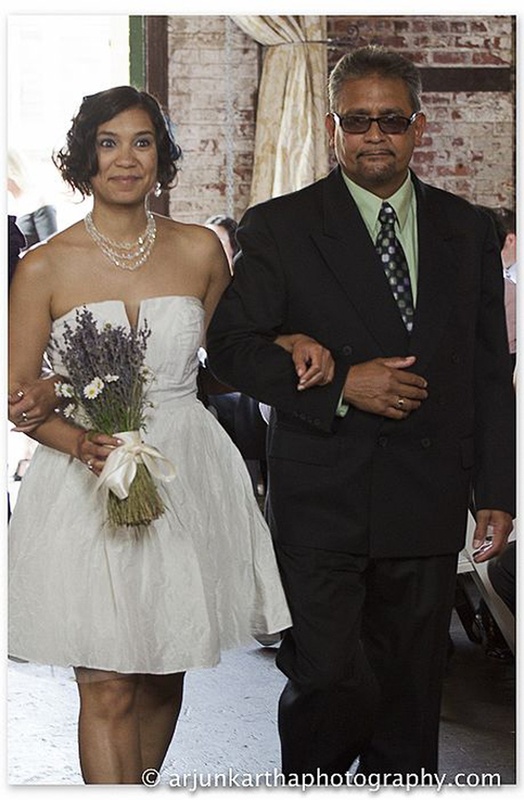 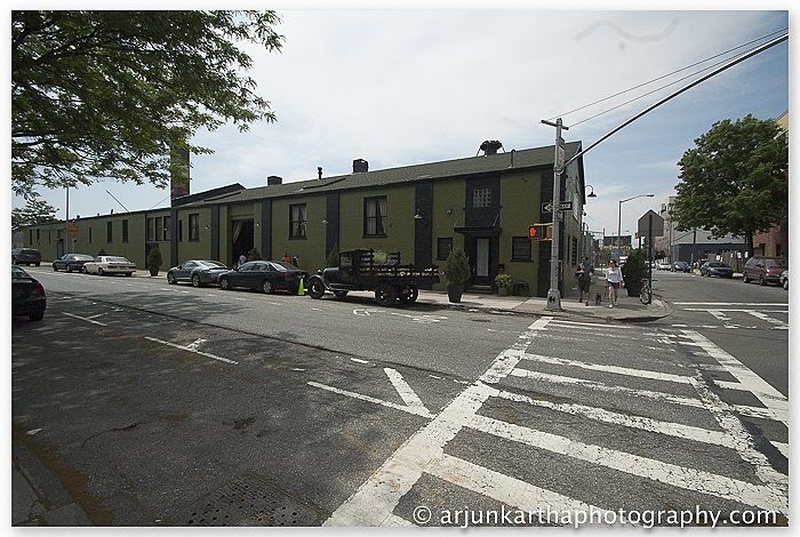 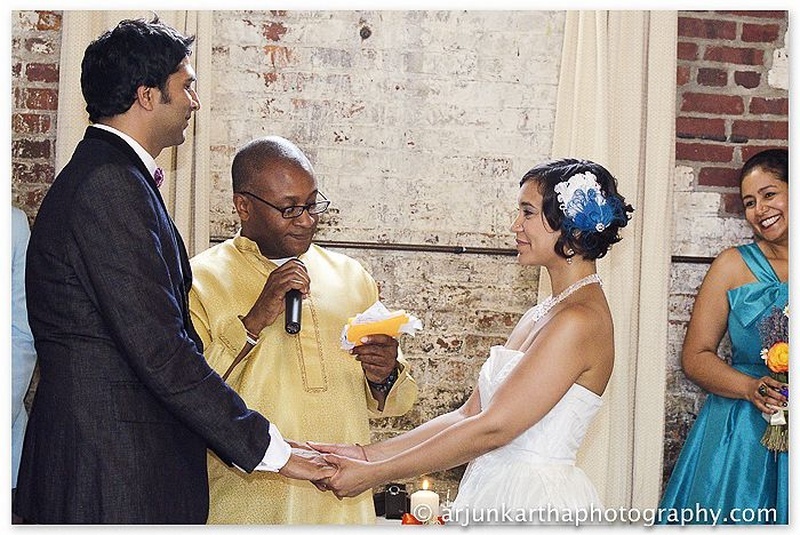 Held at the Green Building in Brooklyn, this wedding venue was an old brass foundry converted into a wedding venue. 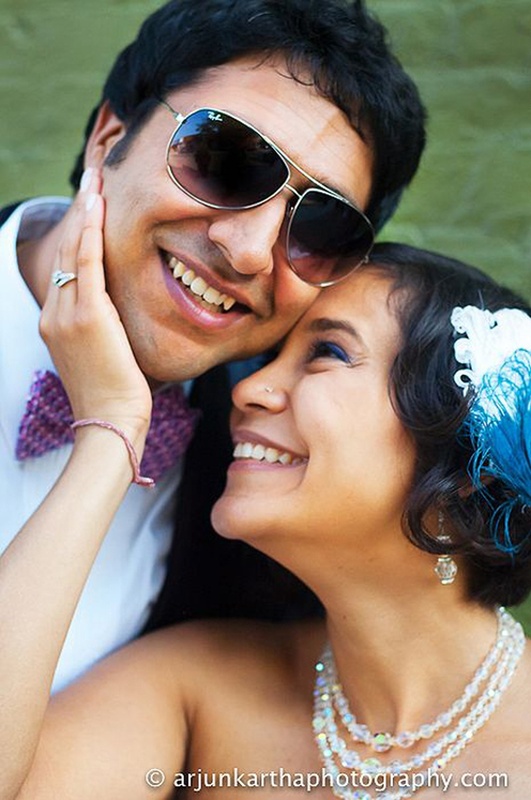 It brought a rustic, old-school vibe to their contemporary-chic Christian wedding – and it was only fair to seal the deal in a city where they first met, explored it together and fell in love. 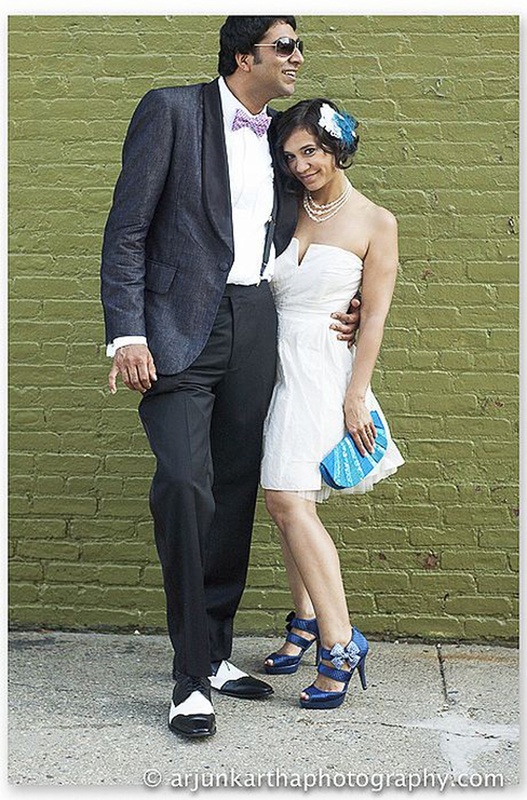 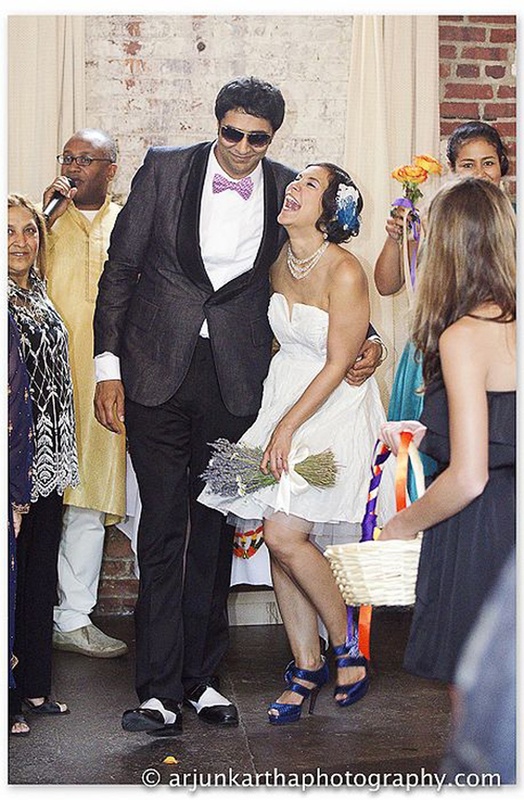 Adrienne’s off-beat short strapless wedding dress was perfect for their worn-down, rustic wedding theme while vinay kept it sharp in a textured blue blazer and black trousers. 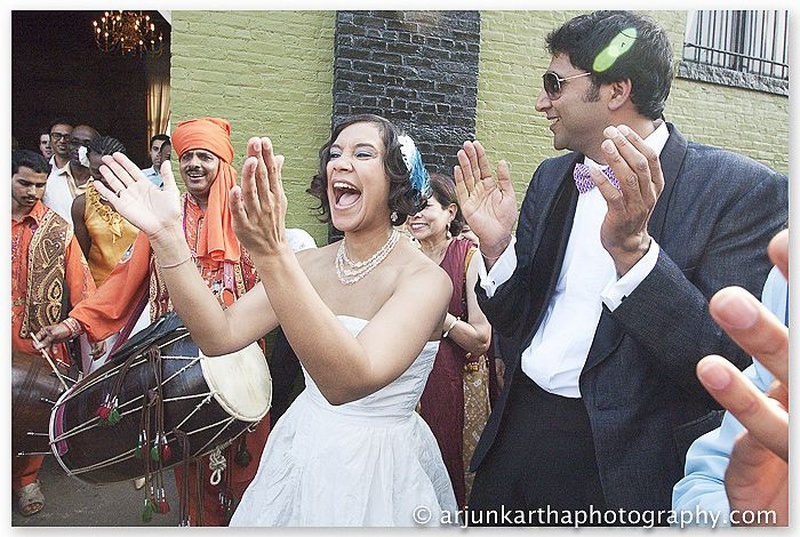 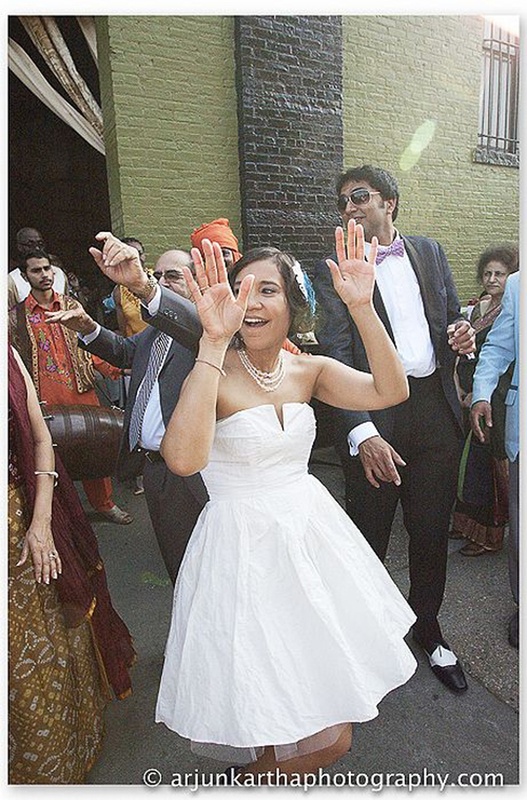 This being a cross-cultural Puerto Rican and Indian wedding, the couple made sure to integrate elements of both their traditions. 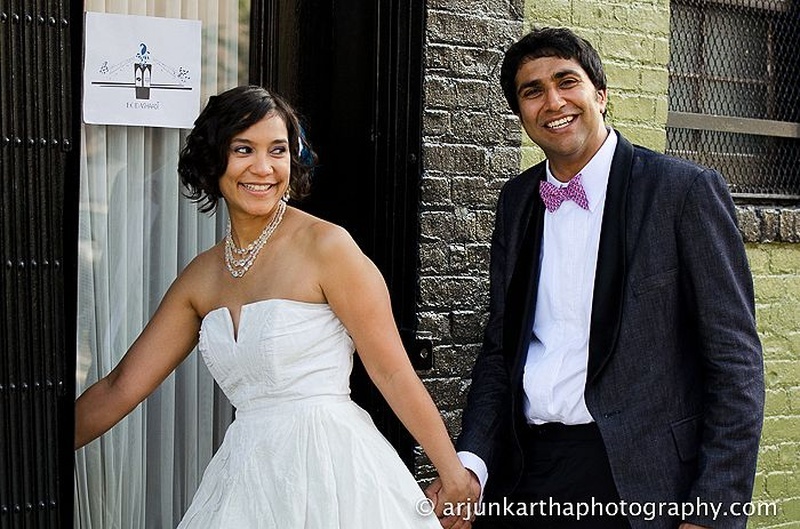 Right from the tiniest element like the wedding cupcakes to the Indian meal served at the reception and freshly brewed craft beer too, Adrienne and Vinay’s wedding was a perfect blend of both cultures and traditions. 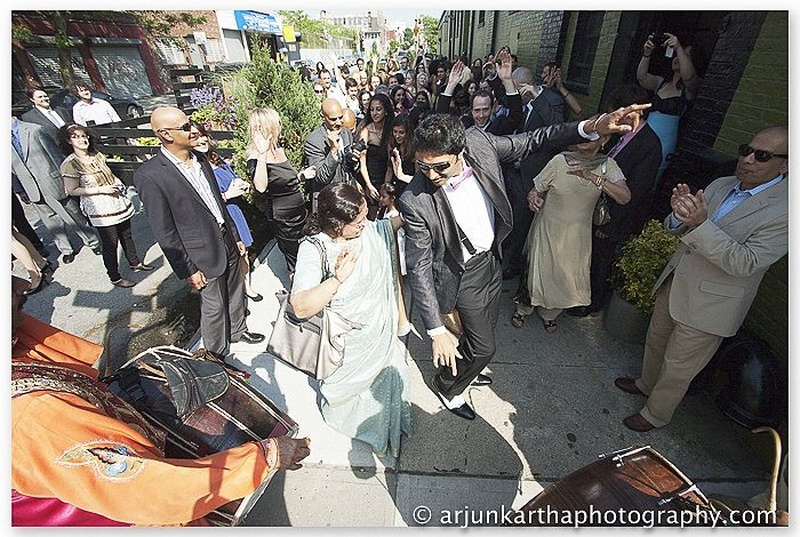 Arjun Kartha Photography shot in international cross-cultural wedding just the way it should have been! 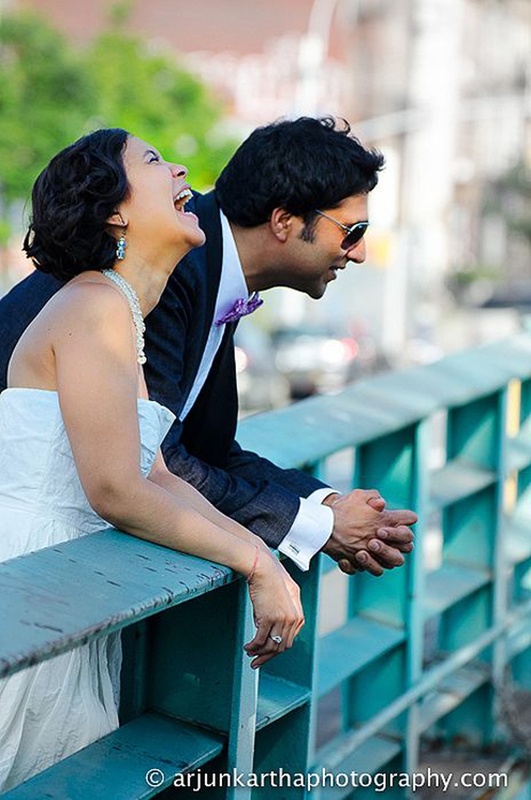 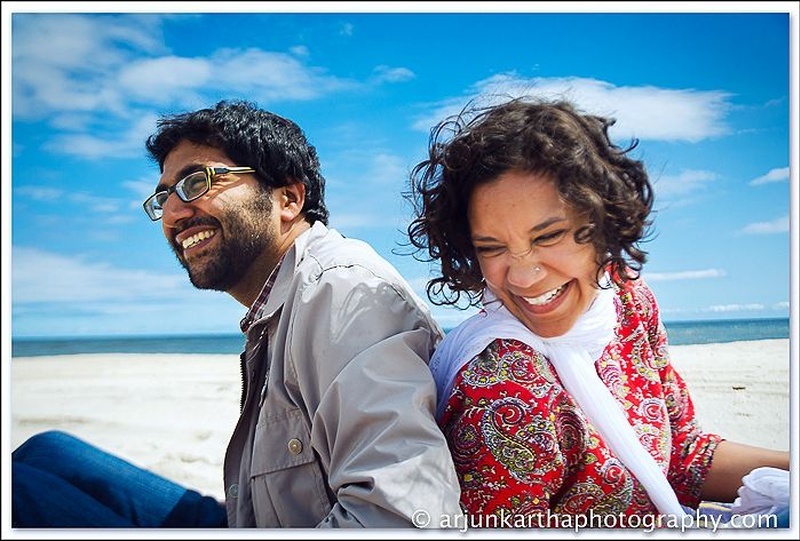 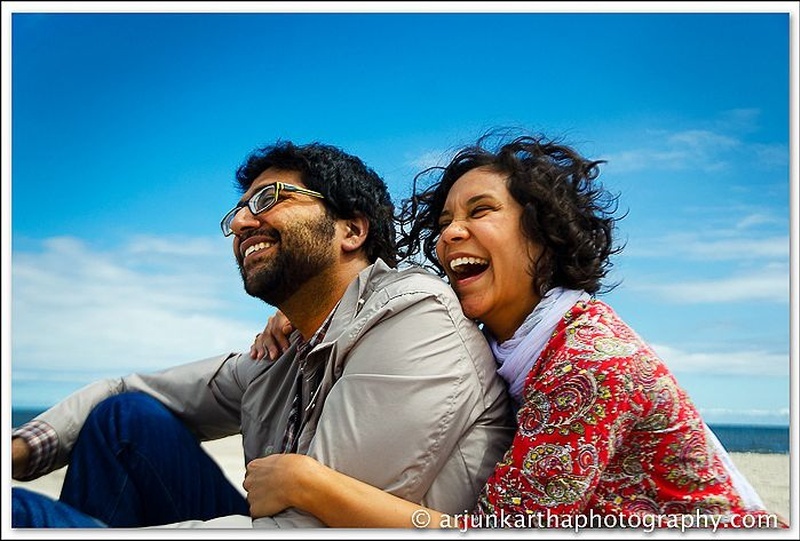 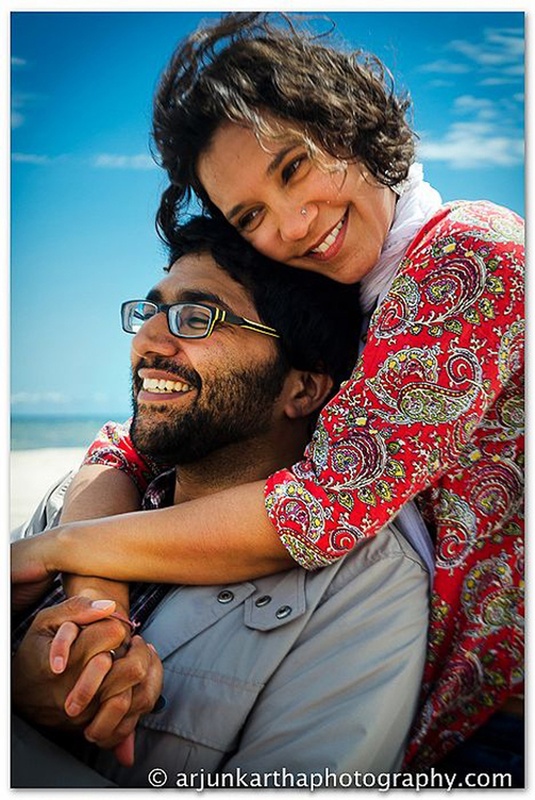 He captured raw emotions, candid hugs and Adrienne and Vinay’s quirky side brilliantly. 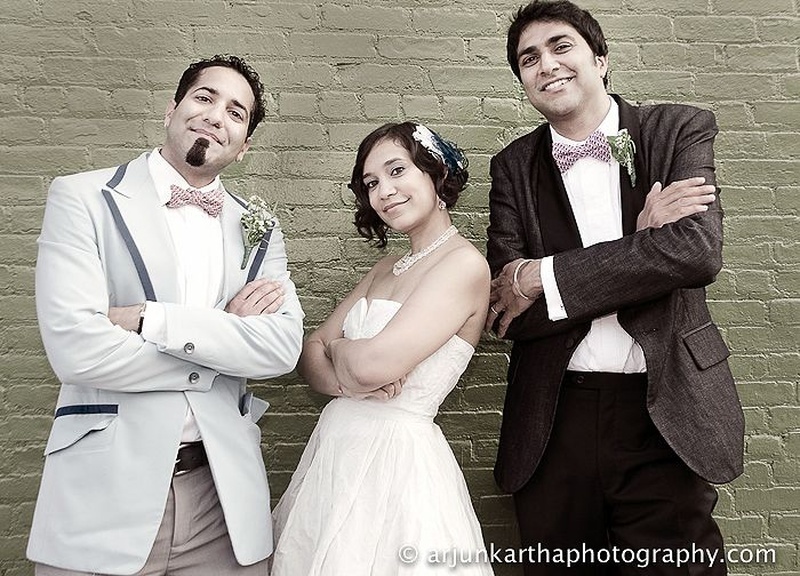 The HDR effect and raw pre-wedding photos brought out the modern vibe this couple was aiming for. 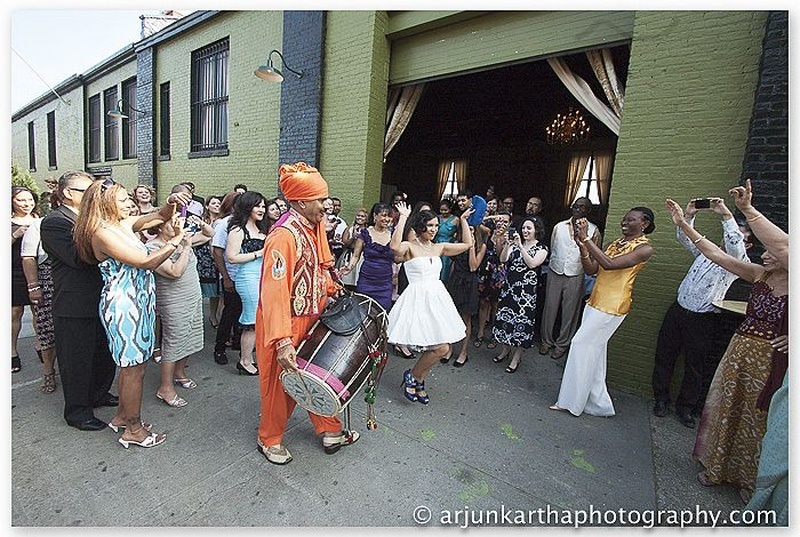 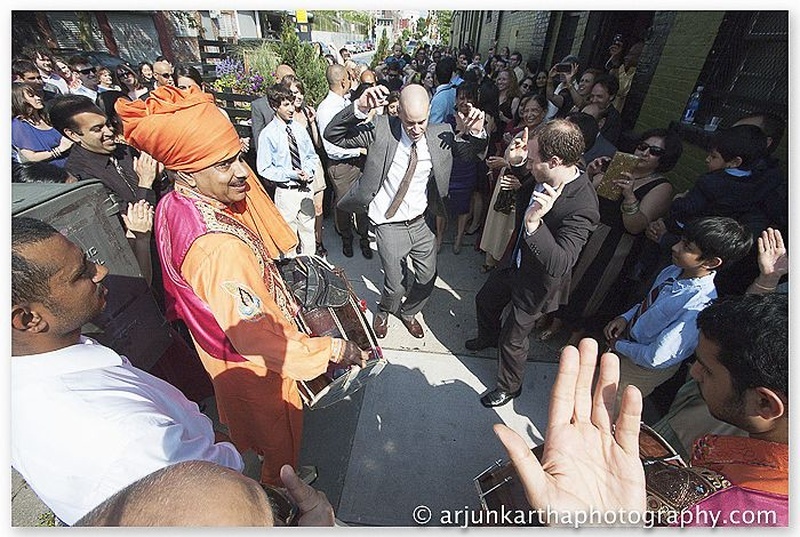 What to look out for as you scroll through this wedding – the loud baaratis and dhol walas on the streets of Brooklyn, the brides stunning lavender wedding bouquet, and the super goofy pictures of the couple!